Legislators for the far north valley will review the 2019 the highs and lows of the 2019 session of the New Mexico state legislature at the April meeting of the Alameda North Valley Association on Thursday, April 18 at 7 p.m. at the Raymond G. Sanchez Community Center (9800 North 4th Street.) Representative Day Hochman-Vigil and Sen. Bill O’Neill will both attend the meeting. Sen. John Sapien was invited, but was unable to attend. There were many issues that will affect the North Valley debated during this session of the legislature, including capital outlay requests from the City of Albuquerque. One of those requests, to build a spur rail line from the Sandia Reservation into the Albuquerque Balloon Fiesta Park was vigorously opposed by ANVA because the city had not informed people directly affected by the proposal before money to fund it was formally requested by the city in the capital outlay bill. As far as anyone can tell, the city did not do comprehensive planning, feasibility studies or studies on the impacts on county citizens before requesting the money. ANVA worked to get the railroad spur language line item vetoed by Governor Lujan Grisham, but the city still has $7.5 million to improve access to the park, and there is no way to tell how that will affect the north valley community. Items deleted in the city request were a new rail spur line and stop, slip ramp and parking lot. This session of the legislature passed a huge volume of legislation that will have impacts on on all New Mexico citizens. That includes major funding increases for schools that have underserved populations, although it is unclear at this point whether north valley schools will receive part of the funding. The legislature also passed a bill that would require background checks for private gun sales, and tax reform wills. In addition, each of our legislators had capital outlay money they could spend as they chose. This will be an opportunity to ask them about how they chose to spend their capital outlay money and how the north valley will benefit. 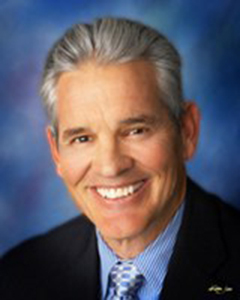 New Mexico State Senator Bill O’Neill and New Mexico House of Representatives member Dayan Hochman-Vigil will meet with the Alameda North Valley Association on April 18 to discuss the results of the 2019 session of the New Mexico Legislature. The meeting begins at 7 p.m. at the Raymond G. Sanchez Community Center (9800 North 4th St. NW). This is a good opportunity to ask our state legislators about issues of particular importance to the community, including the City of Albuquerque’s request to build a rail spur from the Railrunner stop on the Sandia Reservation into the Balloon Fiesta Park. This session of the legislature covered many items of interest, from changes in school testing, to health care laws. This session of the legislature also passed a tax reform law and a law establishing a state ethics commission to investigate allegations of ethics concerns in the state legislature. Legislators will also discuss the City of Albuquerque’s capital outlay request for money to add a Railrunner Spur line from the Sandia Reservation station to the Albuquerque Balloon Park. Come to hear first hand about issues the lawmakers dealt with and their reactions to the state legislative session. The Bernalillo County Parks Recreation & Open Space Department and the University of New Mexico will host a community meeting Wednesday, March 13, from 6 – 7:30 p.m. The purpose of the meeting is to provide input on community needs and discuss possible community center upgrades and improvements. Based on the input from the meeting, the county will begin a process to update the master plan for the facility and seek funding. Comments and suggestions can also be sent to county planner John Barney at jcbarney@bernco.gov, or by calling (505) 314-0404. Bernalillo County Parks and Recreation Department is holding a meeting at the Sheriff’s North Area Command Cenr (600 4th St. NW) at 6 p.m. on Wednesday, Feb. 13. The purpose is to discuss plans for the Sandia Ranch property on North Edith Street. The county is asking for input and feedback on potential future uses for the property. Comments and suggestions can also be sent to county planner John Barney at jcbarney@bernco.gov or by calling (505) 314-0404. New Mexico Senator Bill O’Neill and Representative Day Hochman-Vigil will hold a town hall meeting at 5:30 p.m. on January 31 at the Raymond G. Sanchez Community Center. The purpose of the town hall is to discuss legislation currently before the NM Legislature and to get feedback from constituents. Please mark your calendars for this very important meeting. It is your chance to speak directly to our representatives about bills that are important to you. Candidates of New Mexico House of Representatives Legislative District 15 will be the featured speakers at the next meeting of the Alameda North Valley Association on October 18 at 7 p.m. at the Raymond G. Sanchez Community Center (9800 4th St. NW). 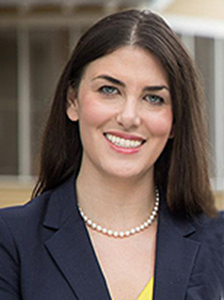 Day Hochman-Vigil and Brad Winter are competing to become the next representative to replace retiring representative Sarah Maestas-Barnes. They will each have an opportunity to present their views and will answer questions from the audience. Other candidates who are not on the agenda are welcome to attend and will be given three minutes to introduce themselves. Other items on the agenda include an update on Bernalillo County activities, and a special presentation to outgoing and long-serving legislators. 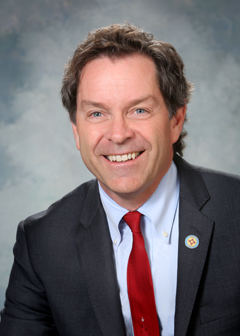 Senator Bill O’Neill will also present a quick look at the upcoming legislative session. Please take this opportunity to come and meet the candidates and to learn about upcoming events in the community. Manuel Gonzales and Lou Golson, the two candidates for Bernalillo County Sheriff will attend the meeting to discuss issues of concern to the Alameda North Valley Community. This will not be a formal candidate forum. Lou Golson, the republican candidate for sheriff has lived his entire adult life in Albuquerque. He and his wife April have five children, three of which are working in the field of law enforcement. His son Scott is a Bernalillo County Sheriff’s deputy. Golson began his career in Albuquerque as a Law Enforcement Specialist assigned to Kirtland Air Force Base. He joined the Albuquerque Police Department and spent his career in a number of positions with the department. Golson formally retired, then returned to work with the department. In 2015 during a traffic stop, Golson was shot four times and severely injured. 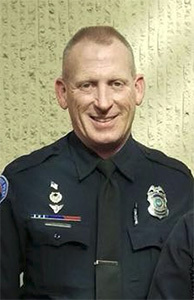 He returned to the Albuquerque Police Department on light duty but in November 2016 was informed by his doctors that he would physically be unable to return to duty as a uniformed officer, and left the department. Manuel Gonzales III, the democratic candidate for sheriff is a lifelong resident of Albuquerque. He and his wife Elaine have three children. A former marine, Gonzales joined the Bernalillo County Sheriff’s office in 1989, working his way through the ranks. 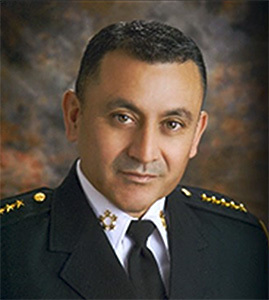 He was appointed by the Bernalillo County Commission to fill a vacancy created by the departure of Sheriff Darren White in 2009. Gonzales ran for sheriff during the next election cycle, but was defeated. He ran for election again and was elected in 2014. Both men are well known in the local community. The Alameda North Valley Association plans an informal meeting and residents will have an opportunity to discuss crime and issues of interest to the Alameda area. Candidates for other offices are welcome to attend, but will only be allowed time to introduce themselves.